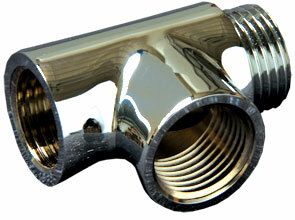 Stainless-steel electric heating rods with G1/2” thread are intended in particular for bathroom towel radiators. These heating rods are equipped with thermal reset. The rods are designed to be plugged either directly into a 230V el. socket or into TZ 33 or TZT 63 room thermostats. Our offer involves also kits consisting of an electric heating rod with a plug-in thermostat and a brass, nickel-plated Tee for connecting the bathroom towel radiator to the central heating circuit. 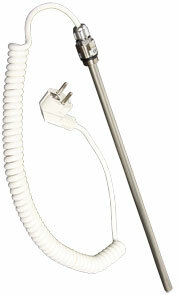 The electric heating rod is then used for additional heating during off-season. Moreover, the TZT 63 thermostat is equipped with a timer which is used mostly for towel drying.